We started the kudos dance on 5th June 2008, Guru sharma is the director and arun sharma is co-director of this foundation, we teach hip hop and free style dance, we have thought approx 10000 or may be more, we are the only 1 who has been organized 21 dance competition in north India, we are running 3 branches. 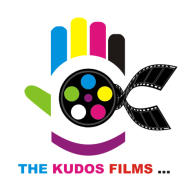 Our another companies are the kudos films, the kudos events and n.g.o the kudos foundation. The Kudos Dance conducts classes in Acting, Choreography and Dance. It is located in Shastri Nagar, Delhi. It takes Regular Classes- at the Institute.